The prompt for day 4 of Health Activist Writer’s Month Challenge is to create a “care package” filled with the best resources someone who is newly diagnosed can use to advocate for themselves or a loved one. When I was first diagnosed with ulcerative colitis, I was so bogged down with information that I found myself withdrawing from any site or situation that I felt my psyche couldn’t handle. I didn’t realize it at the time but the years following my diagnosis I had been hit so hard that I didn’t really have time to process anything that was going on. I was just thrown from one obstacle to another without any significant break from any of the physical challenges. Consequently, I would have greatly benefited from a care package like this when I was first diagnosed if it came from a fellow patient. I also know I would prefer to see what each resource has to offer, as opposed to receiving a laundry list of websites, organizations, blogs, facebook pages, etc. Allows you to gain a wealth of knowledge, share experiences, and connect with other patients as anonymously as you would like. 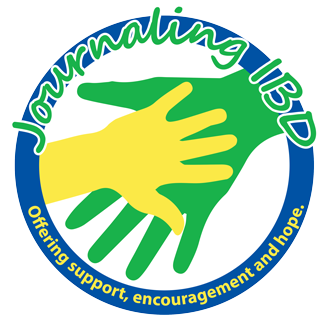 Blogs, vlogs, and a support page that depicts the good, the bad, and everything in between as it relates to life with IBD, a Jpouch, and an ostomy. Provides the tools and support to help empower IBD patients to spread awareness and speak confidently about their diseases. Sponsors a lot of great local fundraisers and support groups. I could name a few others but these four (4) would be the resources I would have benefitted the most from personally when I was a newly diagnosed patient.